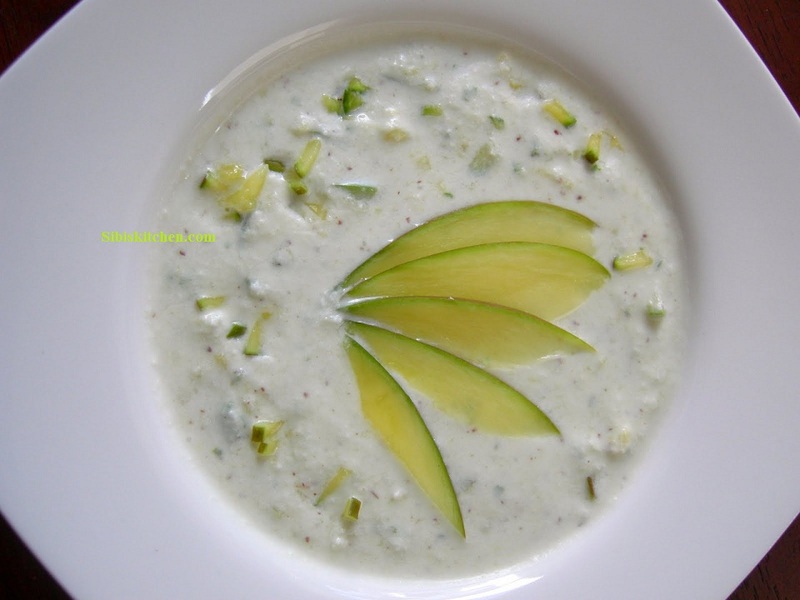 Neither a chutney nor a pachadi…something in between… try it..you will like it. 1) Finely dice the mango. 2) Grind the grated coconut with 1/4 tsp of mustard seeds and chopped green chilli. 3) Whisk the Yogurt well. Served with a garnish of raw mango slivers!